Recently, we had dinner at Silk at Thai. 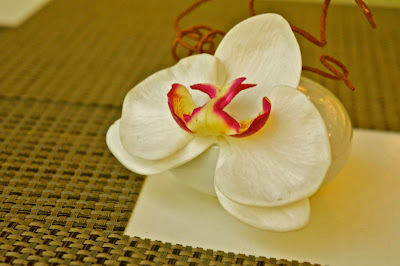 I wrote about that experience and I did mention that Silk at Thai reminded me of Terrace at Fifth - one of my favorite restaurants in Manila. 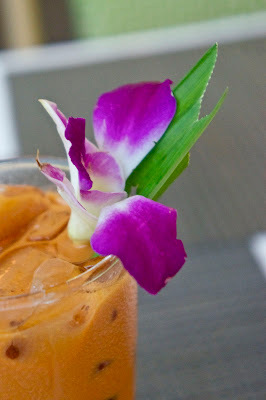 This weekend, I was surprised when I found out that Terrace at Fifth no longer exists - and the owner of the restaurant ( who also owns Silk at Thai ) has transformed it into another Thai restaurant. 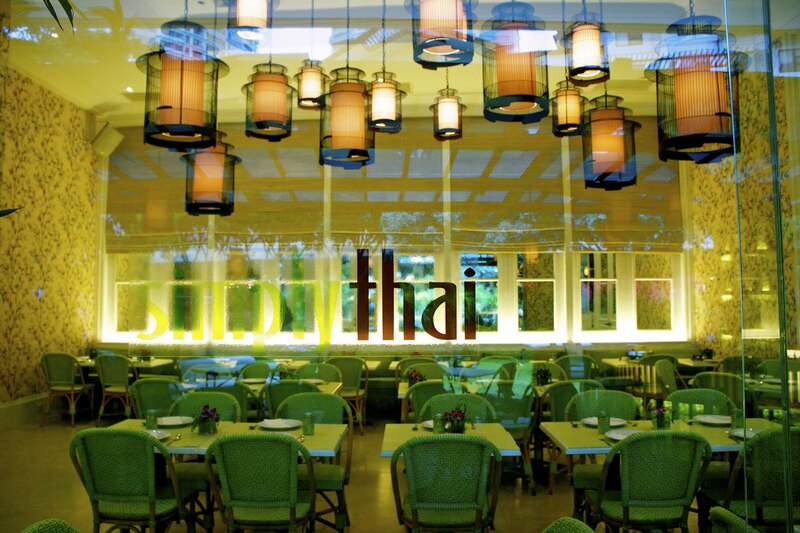 Simply Thai interiors. You see the "ghost" of Terrace at Fifth? The restaurant is familiar - because it retained most of the old restaurant structure - but they changed the wall paper and the print. I'm happy to report that the fantastic bathroom stayed the same. We ended up at the restaurant because one of the waiters was "hawking" the restaurant to people like us who was trekking from Greenbelt 5 to Greenbelt 3. We originally planned to go to People Palace but sine we were intercepted by the waiter and showed us that there is a "new" Thai restaurant in town, we ended up in the place. Another ghost of the Terrace at 5th - is the menu. 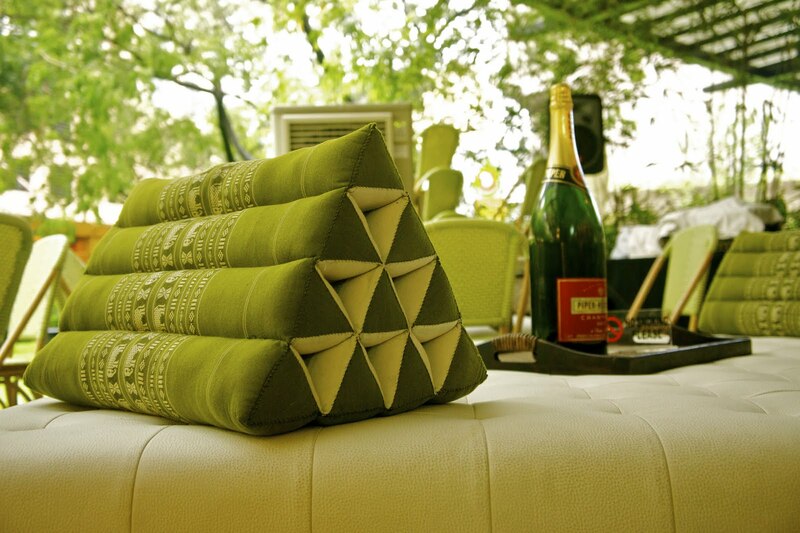 This is a nice addition to the patio setting of the restaurant. I'd love to lounge on this lounger and sip my cocktails on warm summer evenings. The food we had was interesting. 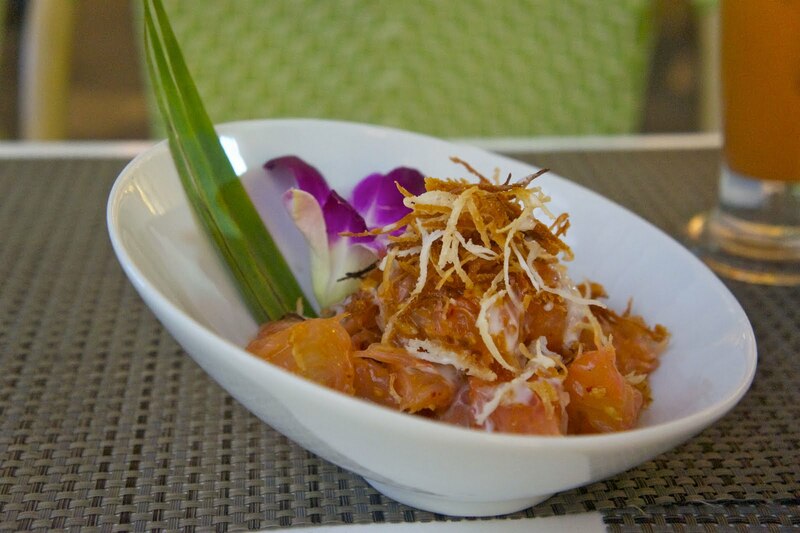 It's supposed to be Thai food with a modern twist. 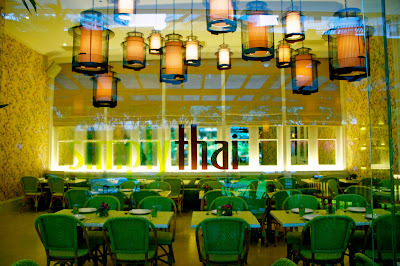 This means that patrons of Silk at Thai will not find the same flavors in Simply Thai. These are the dishes that we ordered and what I thought about them. Pomelo Salad - It had Coconut milk. 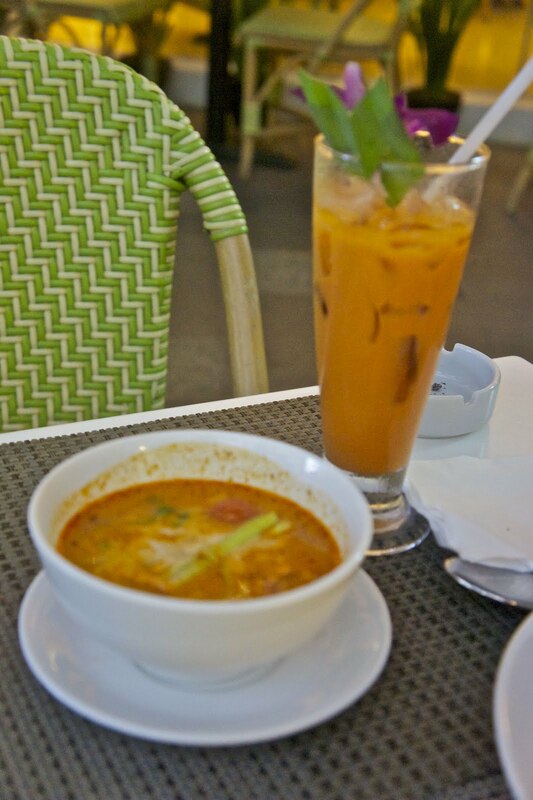 That was a good addition to this familiar Thai dish. 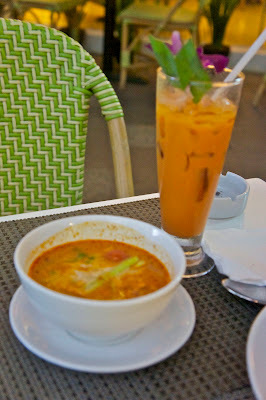 Having warm spicy Tom Yum soup was perfect on the rainy day last weekend. 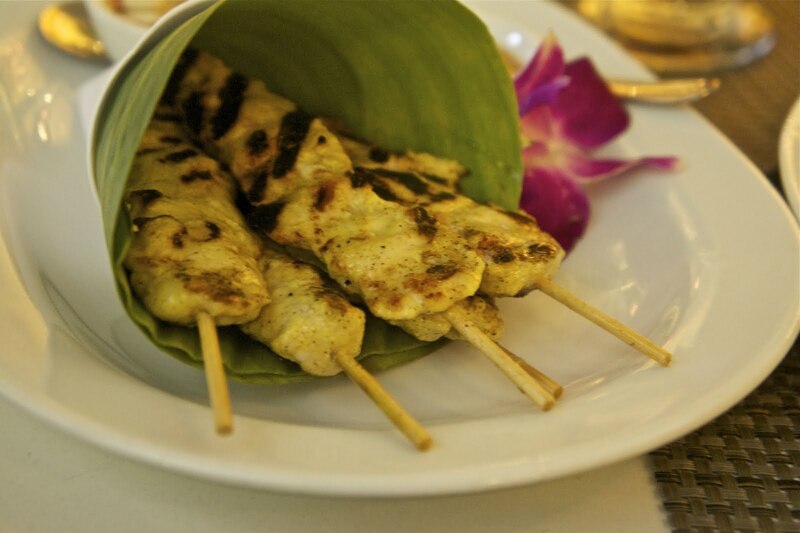 Chicken Satay - this got mixed reviews for us. Props to the chef for using charcoal grilling for the chicken - but I think the chicken itself is under seasoned. The satay was good and it had supplementary flavor from the acar that came with the dish. I must say that that this meal was a good introduction to the restaurant. However - I can't help but think that I don't think Greenbelt needs another Thai restaurant. Of course - I'm saying this because I will deeply miss the Pork Belly Confit of Terrace at 5th. Don't get me wrong - Simply Thai dishes were good - but I'm just suffering from crispy pork withdrawal. Simply Thai - the new Thai Kid in town. Hi there! 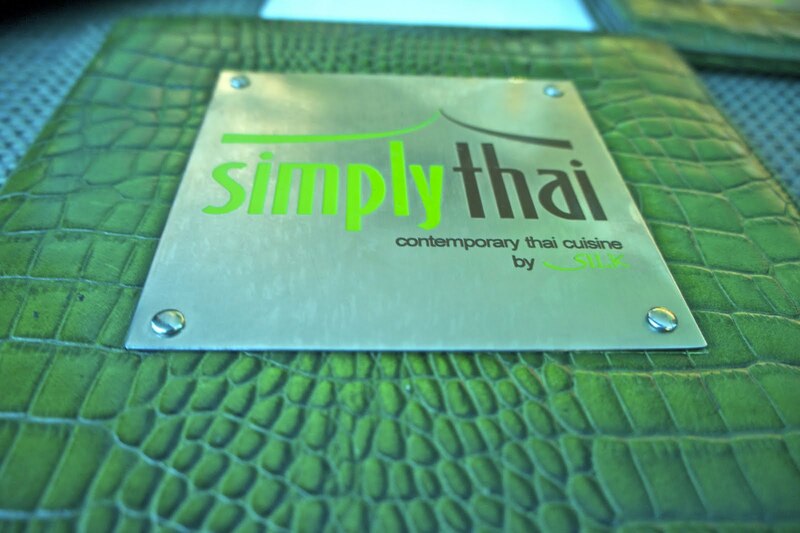 Thank you for writing this review about Simply Thai. It was very nice. 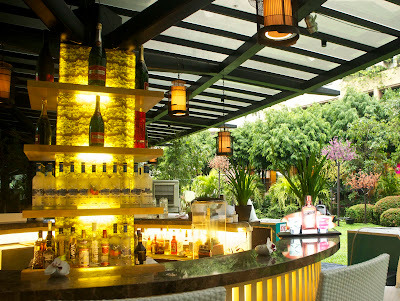 I work there as an Executive Assistant to Ms Cecille Chang Ysmael, she's the Chef/Owner. We actually have pork confit here, we serve it with caramelized sauce. Maybe you could ask for it on your next visit. We hope to see you soon. Thanks again! Irish. Thank you for visiting the House of Queens. I actually have written a lot about Terrace at 5th in previous entries. It was one of my favorite restaurants. I will definitely try the Simply Thai version of the Pork Confit. I'm happy to hear that you have an equivalent dish in your menu. I went here recently this summer. It was so hot out so I decided to eat inside instead. LOL! The food was good. I agree. I wish a brought a friend with me 'cause I ate here for lunch alone.